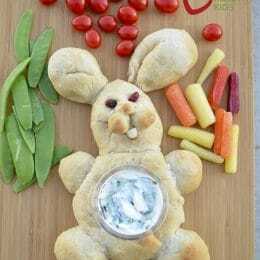 I met with my running partner this morning who was excited to show me a photo of her Easter party vegetable tray! She had seen this idea in an issue of Reader’s Digest, and decided to put it together. She said it was easy and the kids loved it! 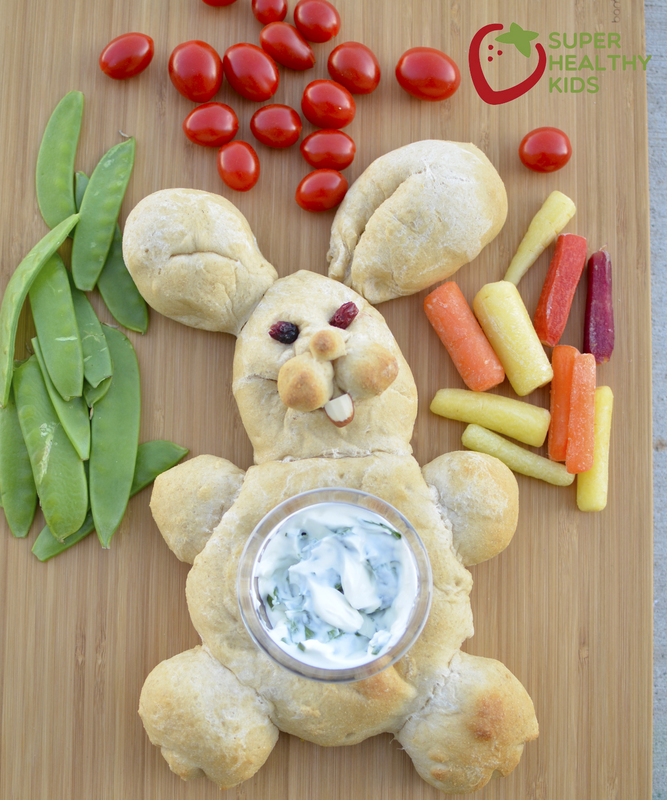 We also replicated this bread bunny Easter tray. We took 1 loaf of whole wheat bread dough (the kind you buy in the freezer section). 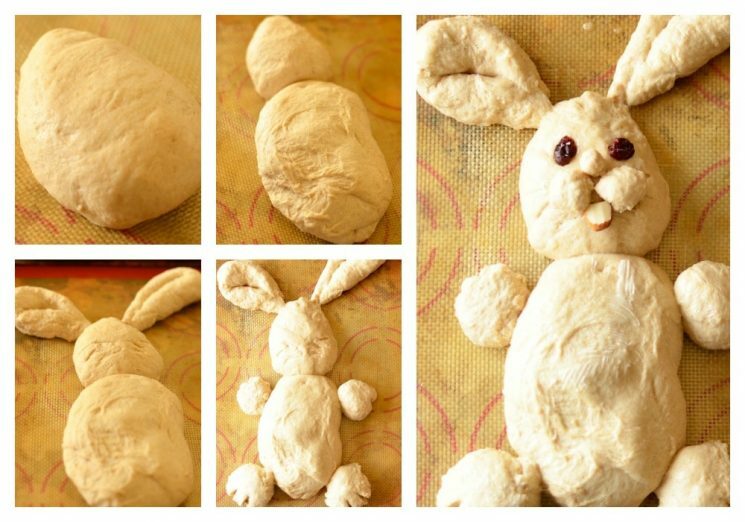 But you can also make your own bread dough. 2 small balls (golf ball size) that you stretch out into a rope, and fold over onto itself for the ears. 2 very small balls for the arms. 2 small balls for the feet. 2 VERY SMALL balls for the cheeks. 1 teeny tiny ball for the nose. 1 slivered amond for a tooth. 2 raisins (or dried cranberries) for eyes. 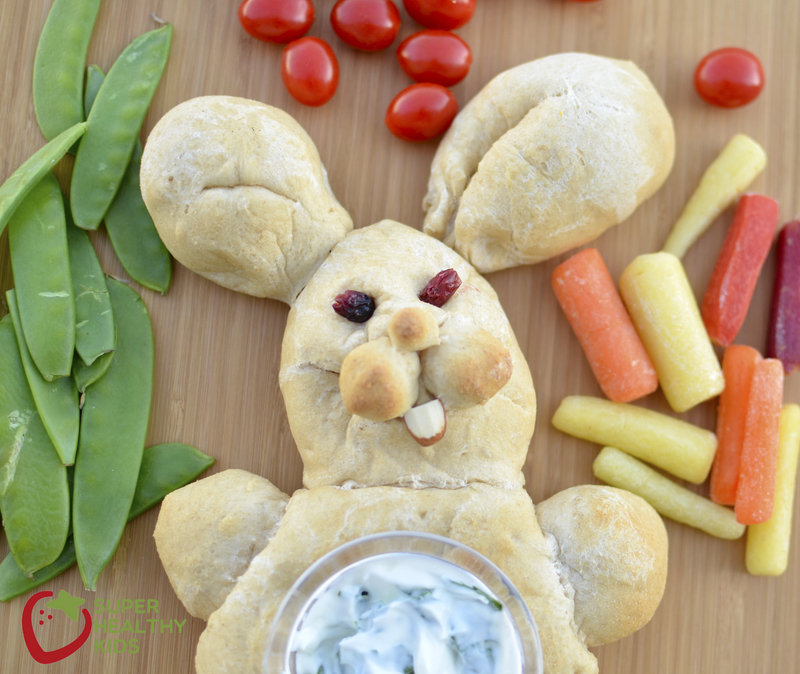 Once the bunny was shaped, we let it rise for 30 more minutes. Then, we baked it for about 30 minutes. Then, we filled the tummy with dip! Need more meal ideas? Want more fruits and veggies every day? For new meal plans each week, check out our member site here! Cook spinach in 2 cups of water, for one minute, over high heat. Drain well. Put all ingredients (including drained spinach) with only half the chives. in a blender and blend. Sprinkle with the remaining chives. 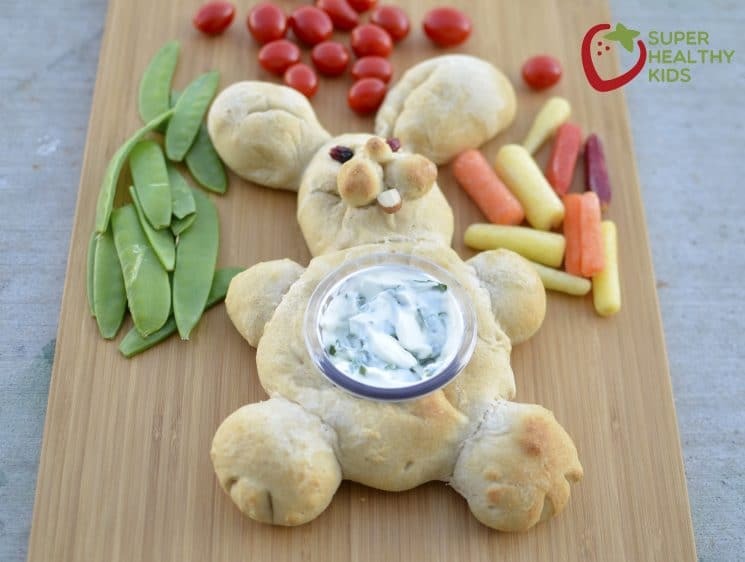 your running partner is a genius and that is absolutely the cutest veggie tray EVER! LOVE this idea- awesome 100%….. Have to remember it for next year!! 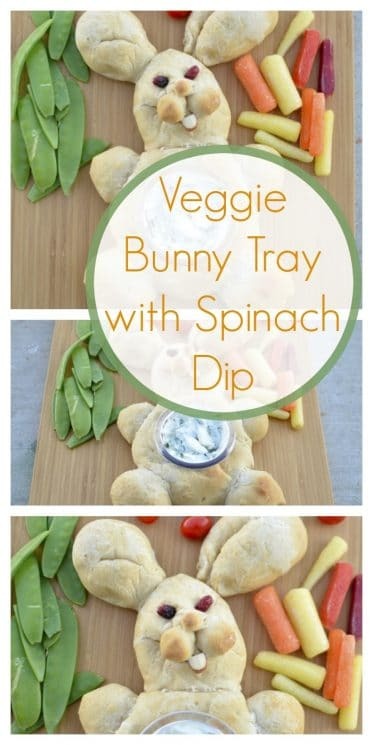 I make an awesome dip with parsley and cottage cheese. So much lower fat. It dos have some mayo in it but use a sugar free one.